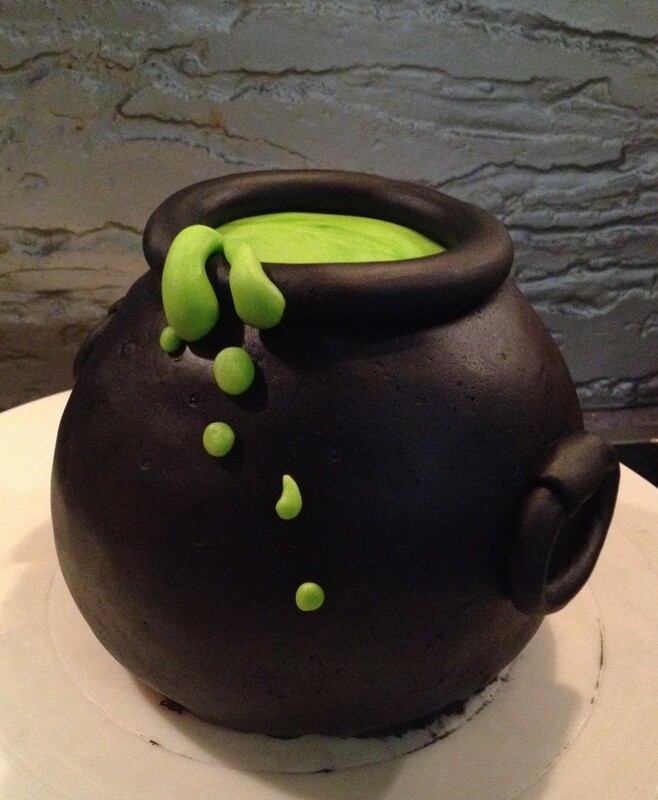 Having a Halloween celebration? We tend to skip it, even as far as going out for dinner so that we aren’t home for the neighborhood kids to knock and ask us for lollies. Horrible of me, I know. But for us it’s an excuse to go out as a family for dinner. 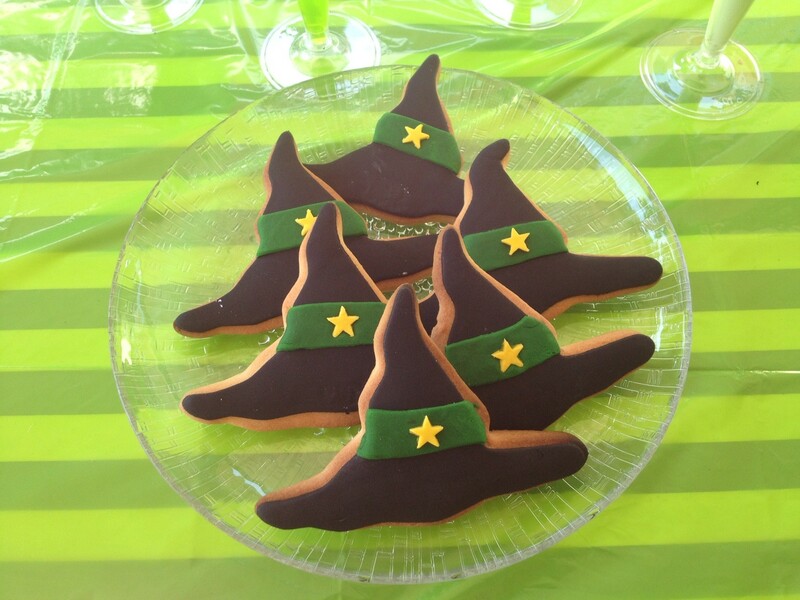 My birthday is in October (and I really wanted to have a witch-themed party) so, I figured that I could use it to double as Halloween blogging/baking too. 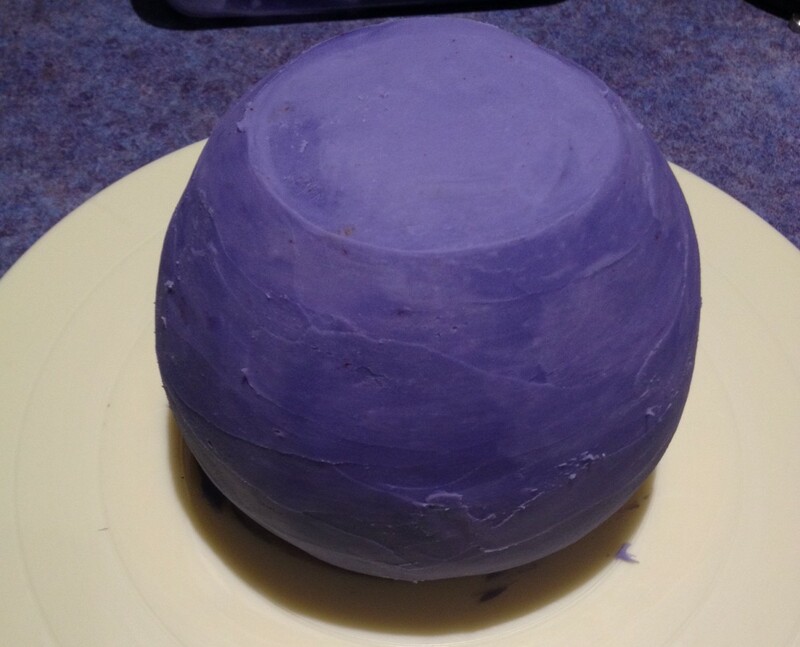 I had to use a coloured ganache again. Really lovin’ this stuff. 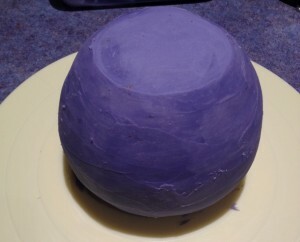 Add the gel colour to the cream as it is the oily base of ganache. 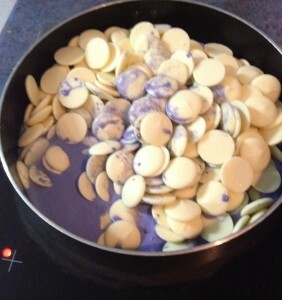 Adding colour straight to the chocolate will make it seize. 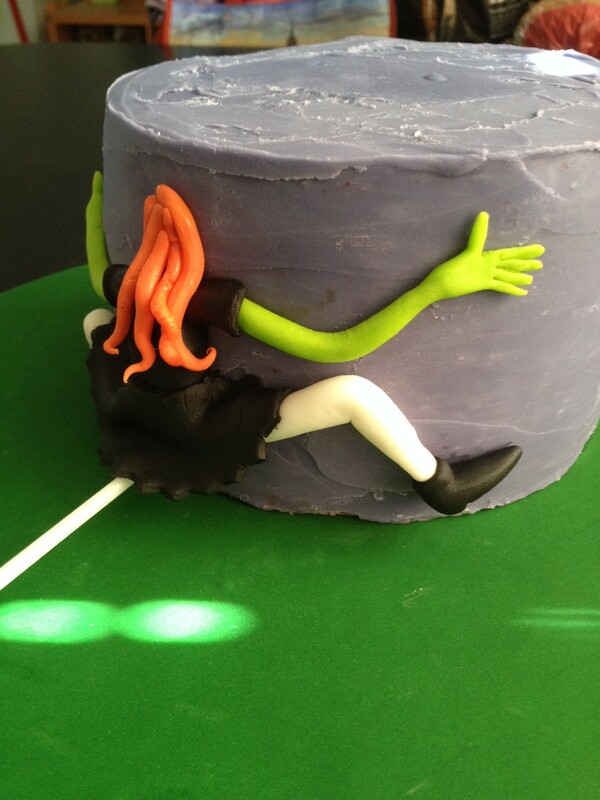 It looks great – just as good as vibrant coloured fondant. The top tier was a cauldron, filled with a gooey green potion. 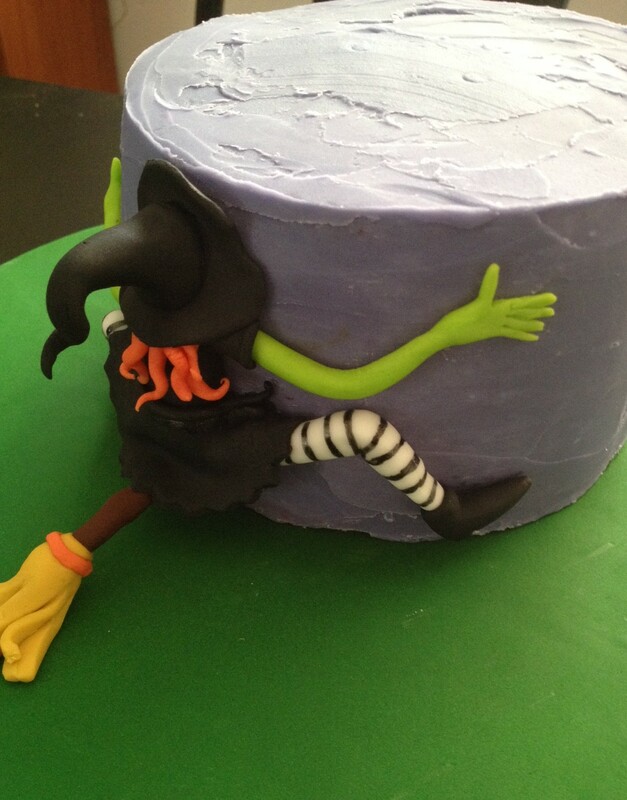 The bottom tier was covered in the purple ganache and had a witch planted into the front – she misjudged her landing. I placed the legs, torso and sleeve-covered arms on first. 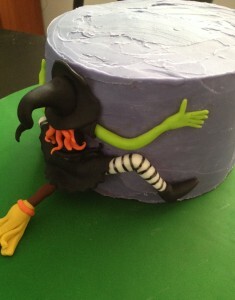 Then a cake-pop stick ws used to prop up the skirt to help it dry in place ready for the broomstick. shoes and hair were next. 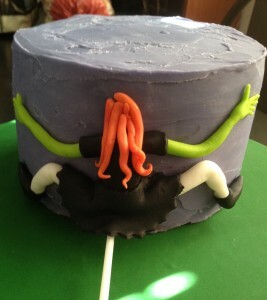 As you can see from this photo, there is no head. Once the hat goes on the face will appear to be in the cake. 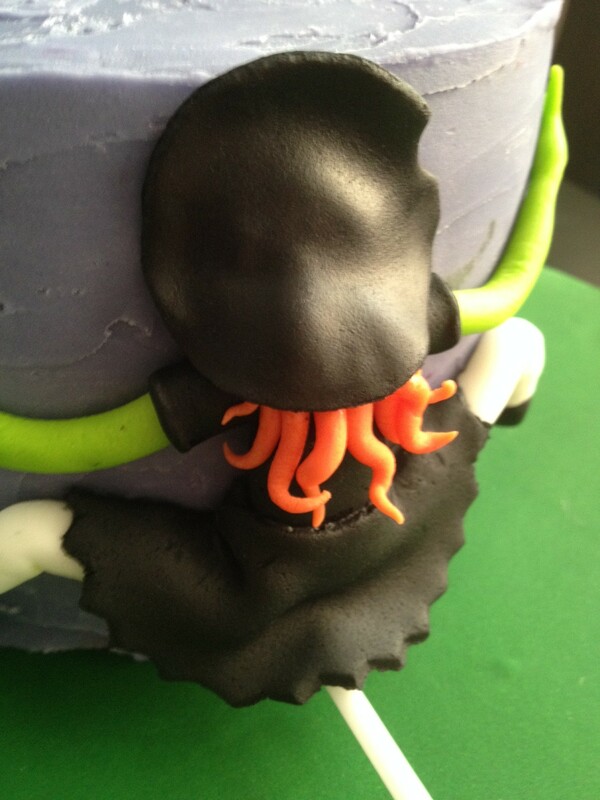 Add a circle of black for the brim of the hat. As you can see, it looks like the whole head is there. To finish her off, add the point of the hat, use an edible pen or paintbrush and colour to add stripes on her tights and cover the cake-pop stick [take it out then re-insert]. 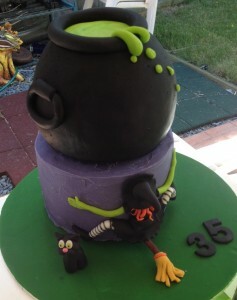 once it was all put together, i made a few finishing touches including a black cat [all witches need one]. As usual, I made more than just the Birthday cake..after all, I was on holidays – take advantage of the time! 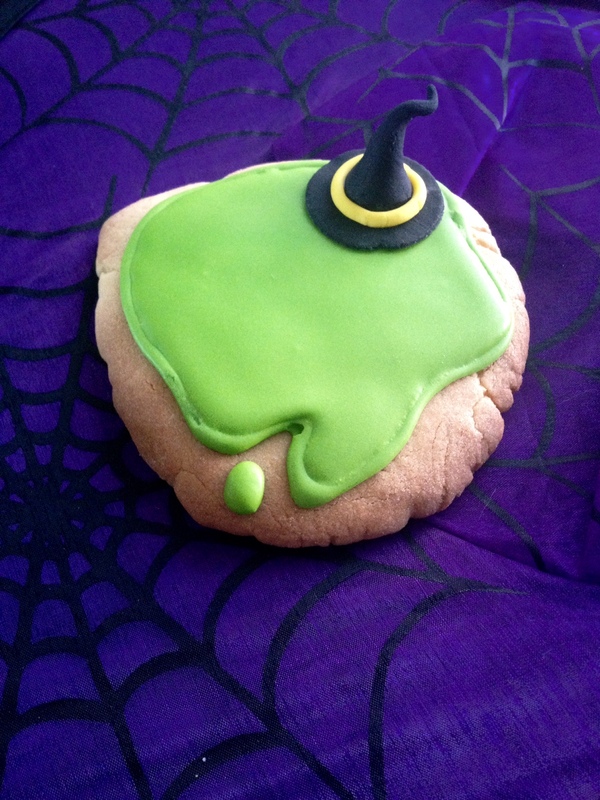 Melted witches…Fondant hats and royal icing for the green puddle. 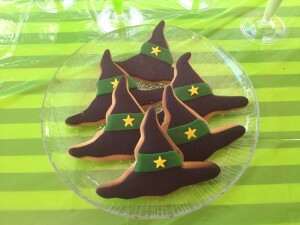 Witches hat cookies too..fondant covered. 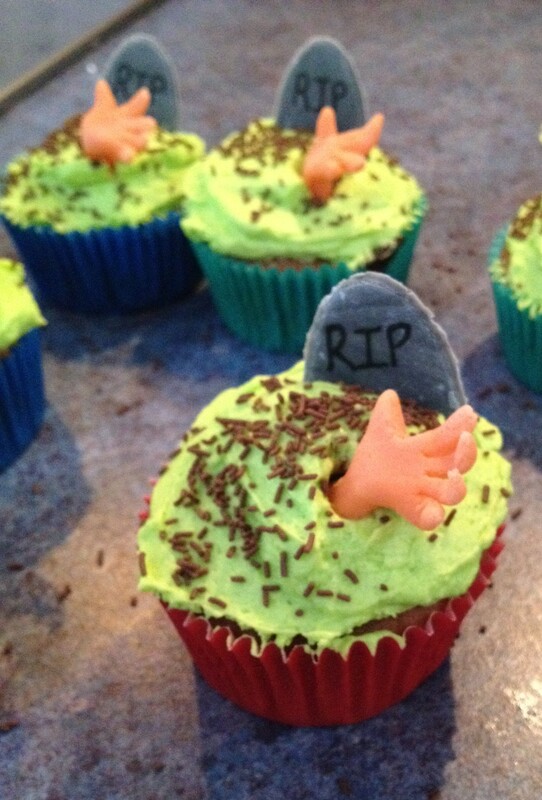 …and graveyard cupcakes. The hands and tombstones are made from fondant. The “dirt” is chocolate sprinkles. I also made ‘eyeball martinis’ by placing a candy eyeball into a plastic martini glass and filling it with green jelly. The adults loved them as much as the kids. Hi Hope you had a fantastic birthday. October is the best month, I turned forty this month. 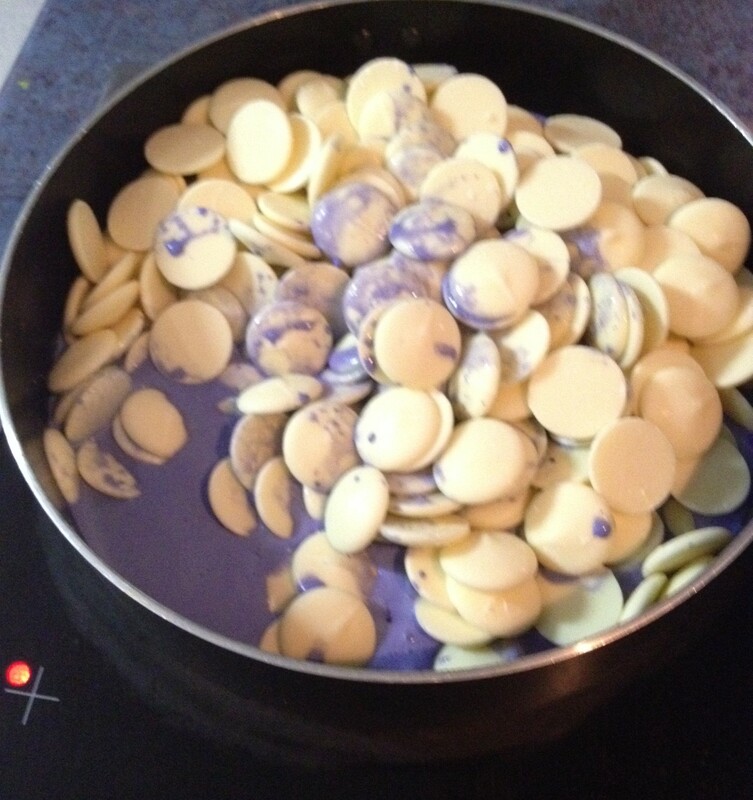 Thank you for your blog, I have been wondering how to color ganache with out it making it cease.